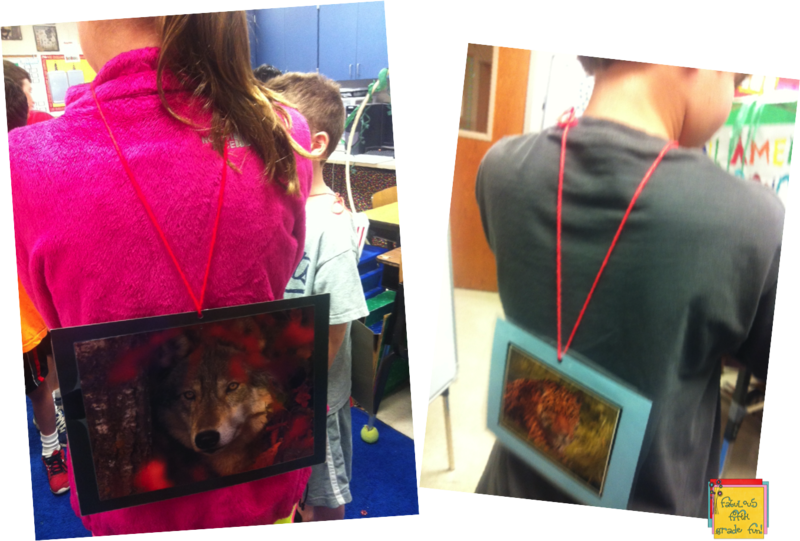 Fabulous 5th Grade Fun: Wabbits, Webs and What am I? We have been studying living organisms! 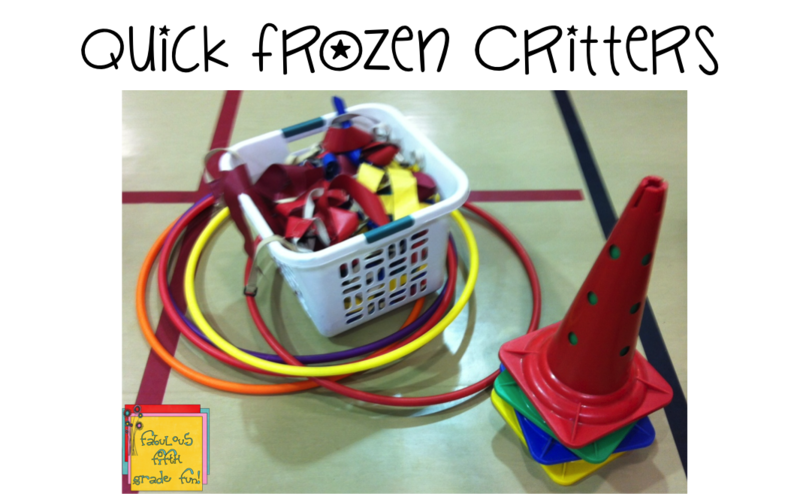 My very favorite activity to start the unit is Quick Frozen Critters from Project Wild. A ba-jillion years ago I attend the Project Wild workshop. Loved it! Attend again! Loved it even more...attended Project Wild - Aquatic! Uhh, love that also! When you attend you get these massive books filled with incredible lessons. Again, that was a ba-jillion years ago...now, they probably have it in an electronic format. I borrowed the equipment from our pe coach! 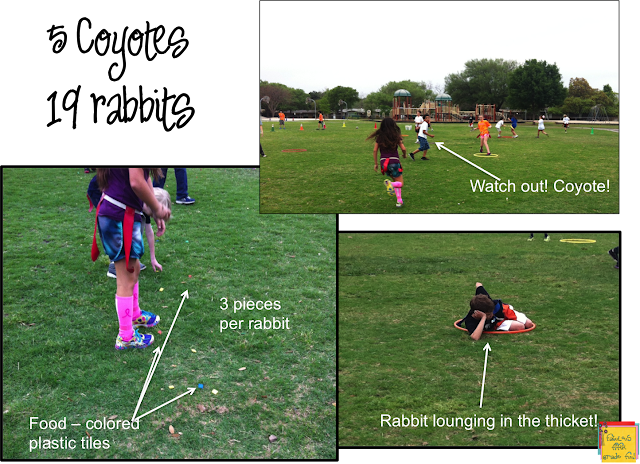 Cones for boundaries, hoops for thickets, and flag belts for rabbits. This simulation is much like "freeze tag" only you have coyotes/rabbits or squirrels/hawk or any other type of predator - prey relationship. My students LOVED this! I actually found the whole lesson posted on this site. The goal is for the rabbit to get to the other end, grab a piece of food and successfully make it back home without getting eaten by a coyote. The hoops are "thickets" or safe zones. The must make it down and back 3 times in order to survive! Here they are in action! Don't ya just love the lounging rabbit?! Let's just say, eventually, he perished! 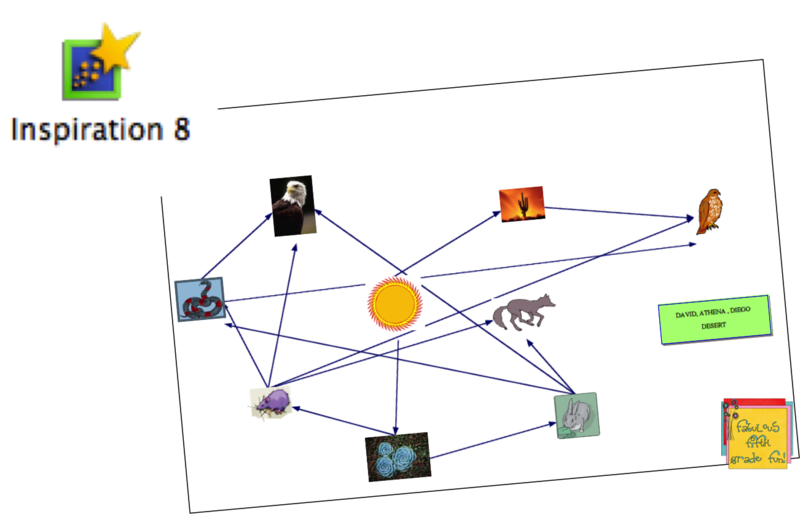 The next day we talked about food webs and food chains. They came with a pretty good background on food webs. What they seemed to have a hard time understanding was the reason for the arrows. I puffy heart Inspiration software! I put my students in groups of 3. 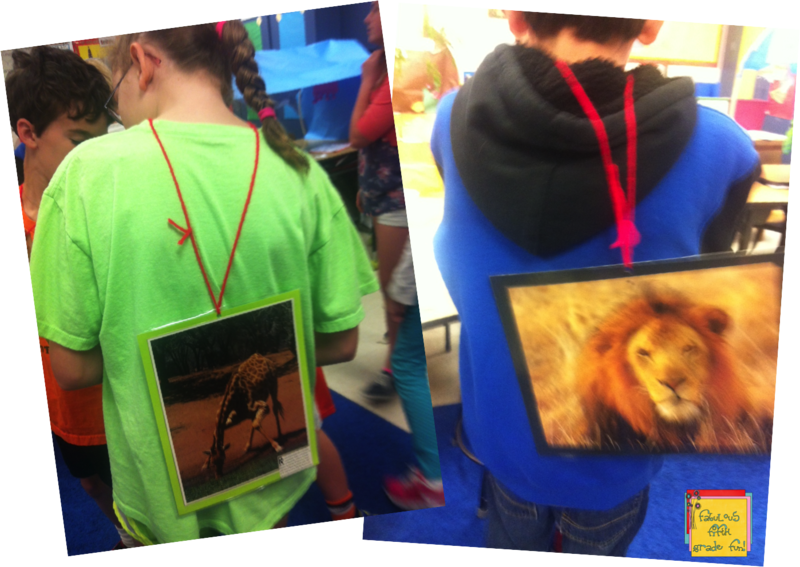 Then, they created a food web! They used the clip art in Inspiration. I think this really helped them understand the flow of energy. So, check out the Project Wild website and see if there is a workshop in your area! It is soooo worth it! What until you see our adaptation project! Posting those Monday. 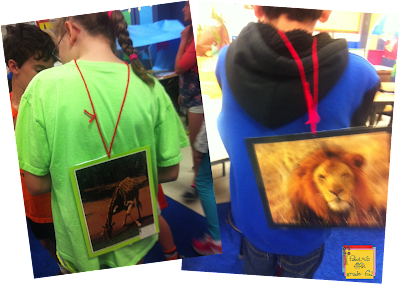 We're about to do animal adaptations and food webs- thanks for these great ideas! Glad you will be able to use them! I took Project Wild in college forever ago!!! Looks super fun! So glad I found your blog! I'm teaching fifth next year:) moving up from third! I made the leap from third to fifth! Loved it!